The nine men and one woman are being held in Washington County, Tennessee. Greeneville — Ten undocumented men and women accused of violating immigration laws while working at a Grainger County slaughterhouse will remain in custody until their federal trials. Summer trial dates have been set for the defendants, detained after an April 5 raid of the Southeastern Provision plant near Bean Station. They'll held for now in Washington County while their cases are adjudicated. Nine of the defendants, whose charges include deportation violations and failure to leave after being ordered, got court-appointed lawyers during a hearing Friday afternoon in U.S. District Court in Greeneville. The 10th person, Mateo Gomez-Pablo, has retained counsel. Lawyers declined after court to comment. 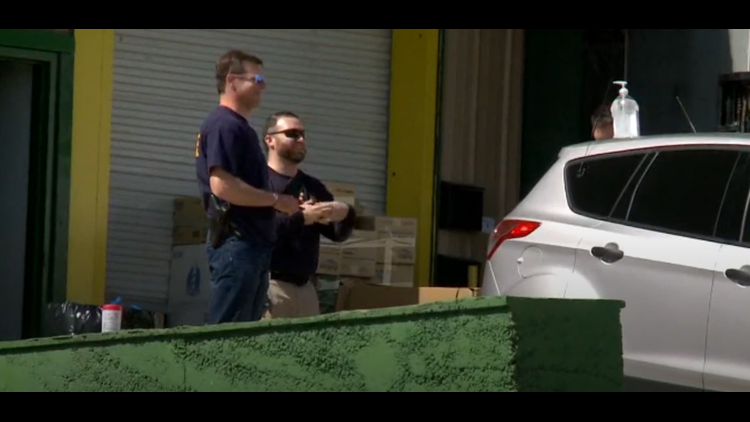 Federal agents raided the slaughterhouse owned by James Brantley after receiving a tip he and family members may have been skirting tax and payroll laws. Some 100 people were detained by authorities, with the 10 defendants ultimately charged. Six are from Mexico; four are from Guatemala. On Friday, they were led into the federal courtroom in chains. A translator helped explain to them what was happening. They pleaded innocent. A handful of people who appeared to be friends and family came to court for their appearance. Defendant Virgen Mendoza-Perez faces up to 20 years because she's twice been ordered deported and previously have been convicted of a child abuse case in Florida. Along with Mendoza-Perez and Gomez-Pablo, the defendants are identified as Jose Roblero-Bravo; Miguel Silva-Silva; David Perez-Bartelon; Marvin Oriel Marroquin-Lopez; Domingo Gregorio-Domingo; Evelio Alejandro Bravo-Arreaga; Antonio Garcia-Martin; and Pabo Tivurcio-Lopez.